The “Tax Cuts and Jobs Act” introduced numerous changes that are impacting the real estate industry. Which ones are the most important to consider? 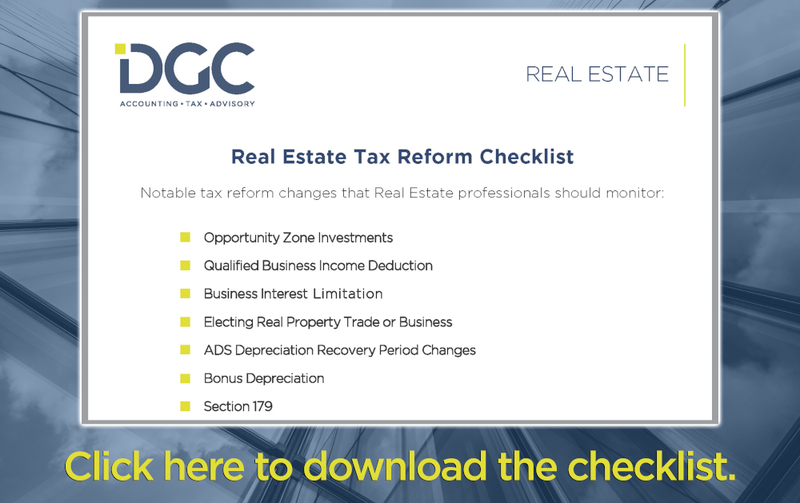 DGC’s Real Estate Team Leaders have created a Tax Reform Checklist, outlining the 14 key topics real estate professionals should review, to ensure you’re well-positioned.